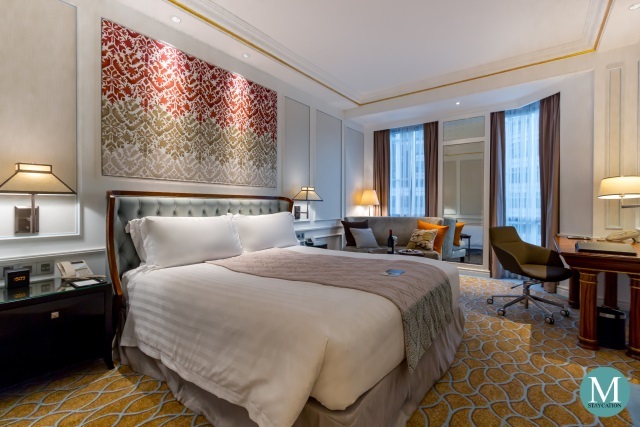 The Club Deluxe Room is the lead-in Club InterContinental Room category of InterContinental Singapore. Rooms in this category are located on the higher floors of the hotel. With a total floor area of 38 square meters, this particular room was located on the 14th floor with a view facing the National Library of Singapore. Entering the room will leads guests to the entryway closet which has enough storage for short business or leisure trips in Singapore. The closet also houses an electronic safe, an iron and ironing board. Next to the closet is a luggage rack which also doubles as a shoe rack bench. 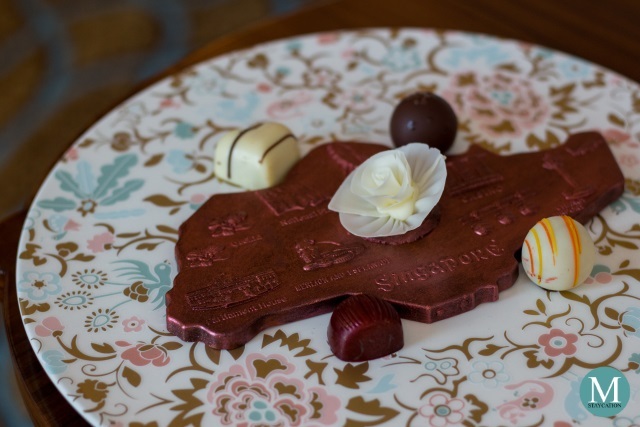 My stay at the InterContinental Singapore took place just a few weeks before the National Day of Singapore, and the celebrations couldn't be expressed better than a bar of chocolate in the shape of the map of Singapore as a welcome treat in my room. Not in the photo was a bottle red wine. The room reflects the rich heritage of the Bugis area with inspirations taken from shophouses that line the streets of Bugis. The room was painted in shades of white with blue and gold highlights. Elements of a Peranakan house are evident in the rooms design such as the wooden columns, the carved wood panels and the silken feature wall. My room was furnished with a king bed fitted with a very comfortable mattress. The pillows were also very relaxing to sleep on. I have to admit that this is one of the best beds I tried so far. 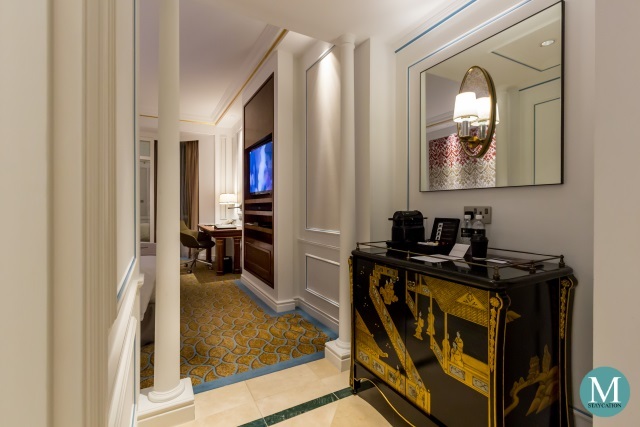 My room is equipped with tech amenities you would expect in a five star hotel such as a huge flat-screen television and high speed wifi internet connection. 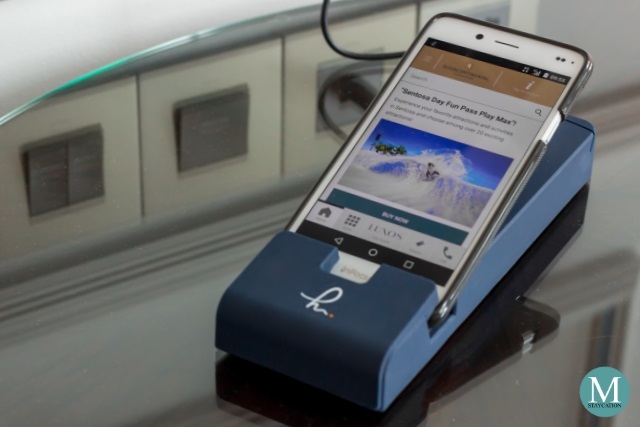 But one unique benefit of staying in a Club InterContinental room category is the complimentary Handy, a loaner smartphone service with unlimited 4G data, allowing the user to access their social media accounts and emails, navigate maps and even make free local and international calls to selected countries. It also contains a travel guide for Singapore containing a listing of destinations, restaurants and events. 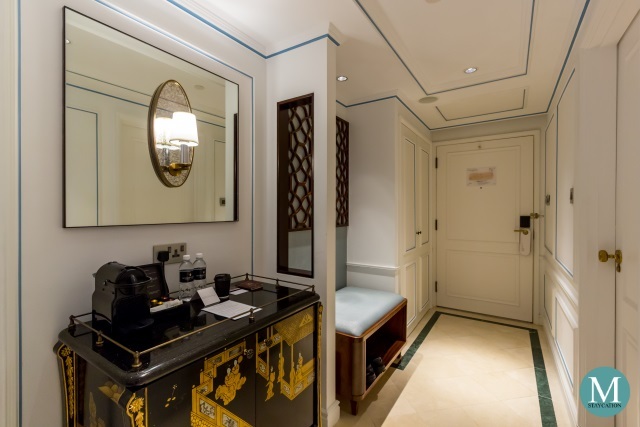 Adding more Peranakan touch to the room is a Chinese lacquered cabinet which stores the minibar. The cabinet also stores an electronic kettle, complimentary TWG tea bags and sachets of instant coffee, sugar and artificial sweetener. A Nespresso machine is placed on top of the cabinet, as well as a box of six complimentary coffee pods and two complimentary bottled water. 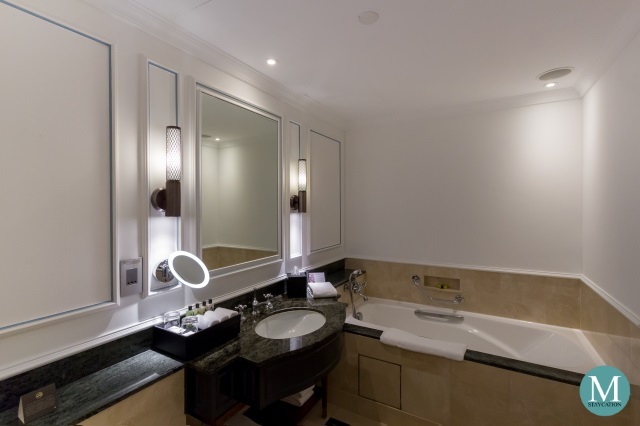 The white, blue and gold motif of the room is also expressed inside the bathroom, with white lighting that makes the bathroom feel more spacious. The bathroom has a separate walk-in shower and an enclave bathtub. 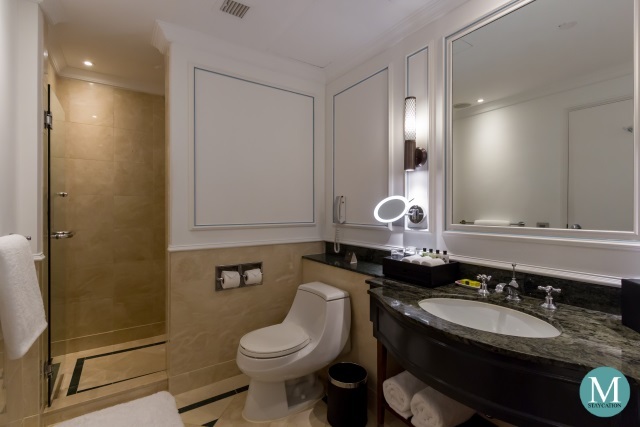 To give the room a vintage look, the single basin was fitted with classic style faucet dials while the bathtub was mounted with a telephone style showerhead with classic faucet dials. 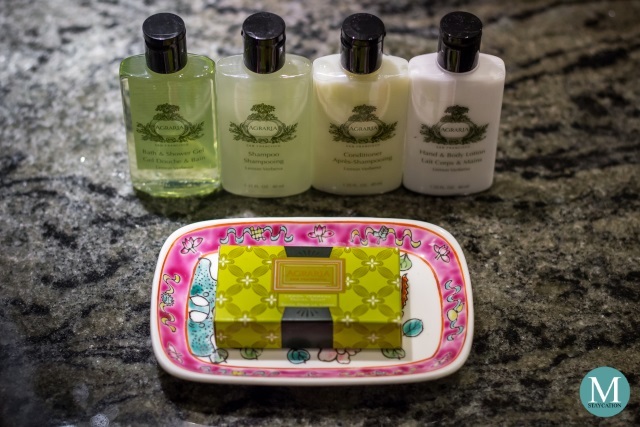 As with all InterContinental Hotels & Resorts properties around the world, InterContinental Singapore features the Lemon Verbena body and bath amenities by Agraria, a San Francisco-based home fragrance firm. 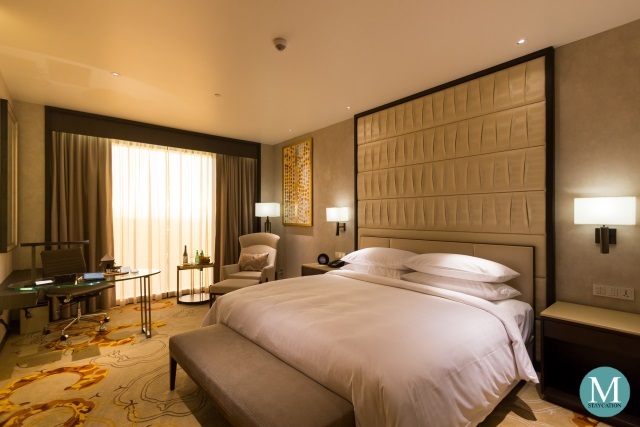 The features of the Club Deluxe Room make it an ideal accommodation for business travelers who would be spending most of their time in the hotel as a venue for meetings and entertaining clients and business associates. 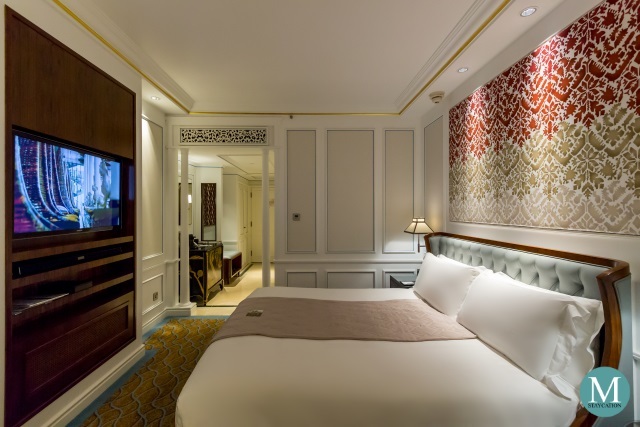 The Club Deluxe Room is ideal for leisure travelers with a discerning taste for luxury and attentive service. 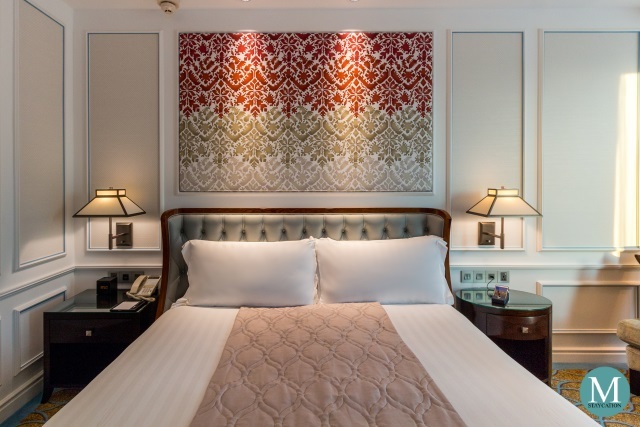 The hotel's location and easy access to the MRT network make it an ideal base for exploring Singapore. 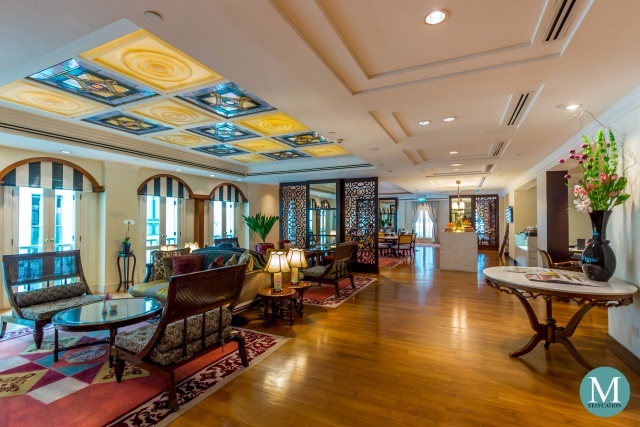 The Club InterContinental Lounge is located on the second floor of the hotel and is open daily from 6:30am to 10:00pm. 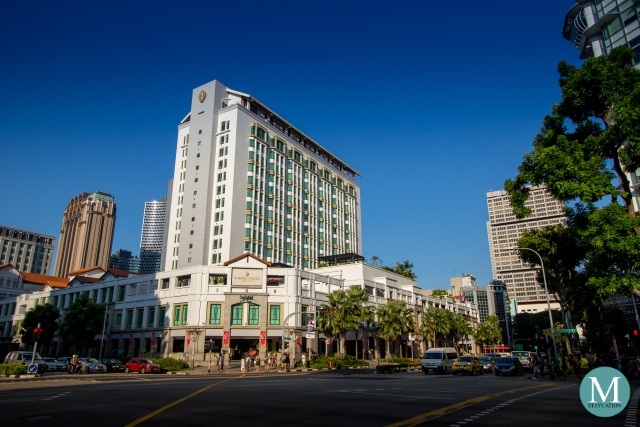 InterContinental Singapore is a luxury hotel located in heritage district of Bugis, Singapore. 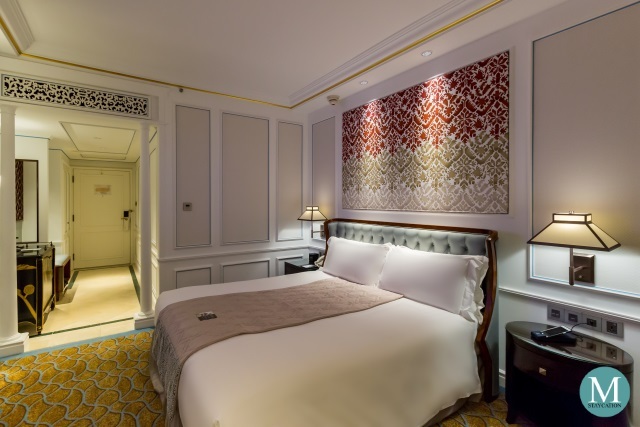 The hotel features 403 elegantly designed guestrooms and suites inspired by the classic Peranakan houses and shophouses that lined the streets of the area. 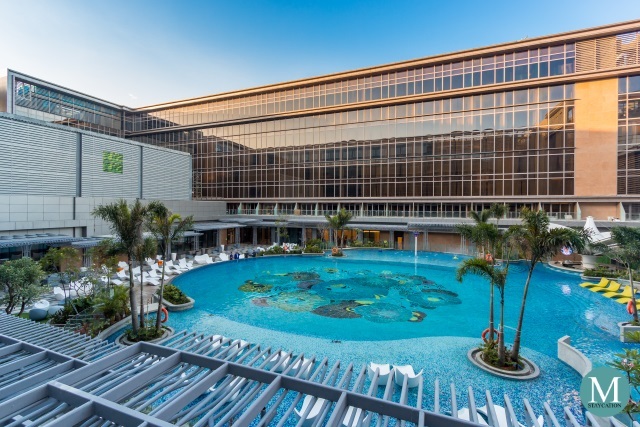 InterContinental Singapore is also adjacent to Bugis Junction shopping mall and is easily accessible via the Bugis Mass Rapid Transit (MRT) train station.